Any Day's a Good Time! Join us anytime you're in the mood for great food and great times. And celebrate the end of the week every day at T.G.I Friday's™. 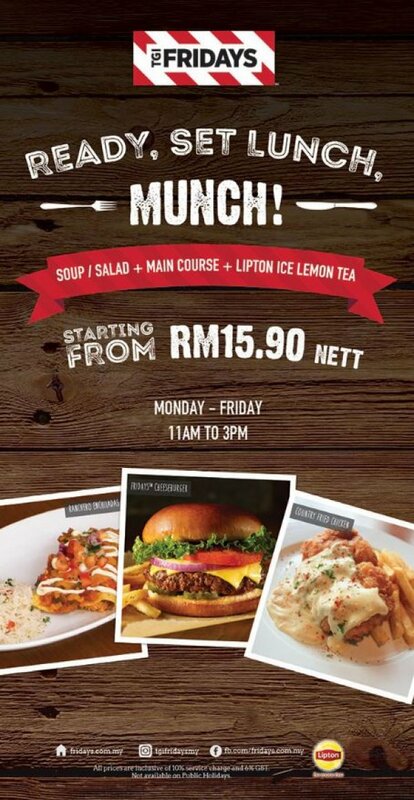 T.G.I Friday’s™ is an international chain focusing on casual dining, with over 1,000 restaurants in 58 countries. Famous for fresh food and mouthwatering American classics, from appetizers perfect for sharing, to memorable burgers and delicious desserts. With the fun and friendly waiters and waitresses, we have become the ultimate destination for diners looking for something distinctive and different. 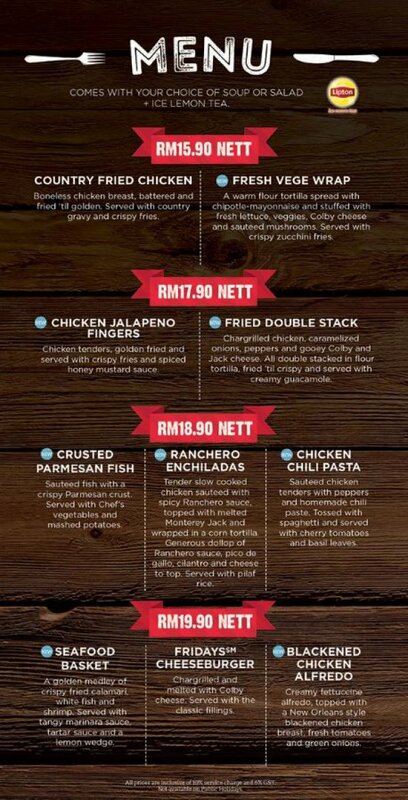 The first T.G.I Friday’s™ in Malaysia opened in year 1994 at Life Centre, Kuala Lumpur and now, we have 12 restaurants in Klang Valley, Johor and Penang. 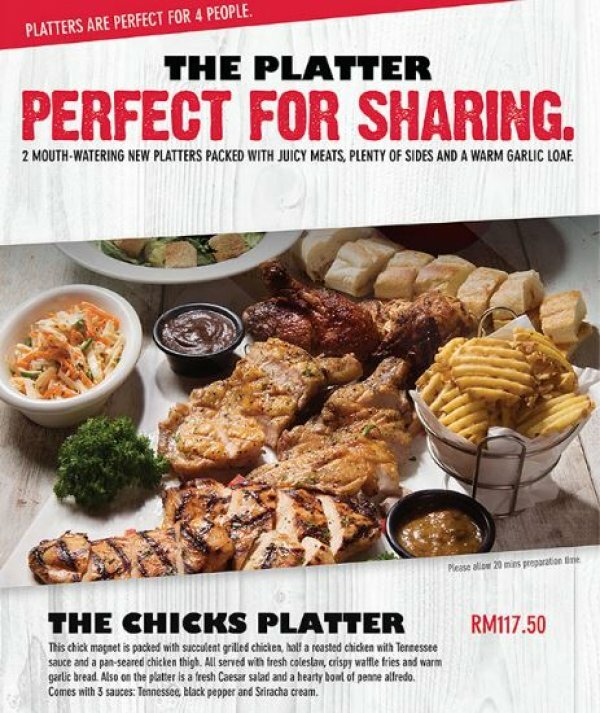 T.G.I Fridays launched Share a Pocket-friendly Meal for 2 at RM 74.90 nett with 2 mains course, 1 appetizer and plenty of delicious choices. They free giving a sets of Stars Meal for kids with the purchase of an adult main course. 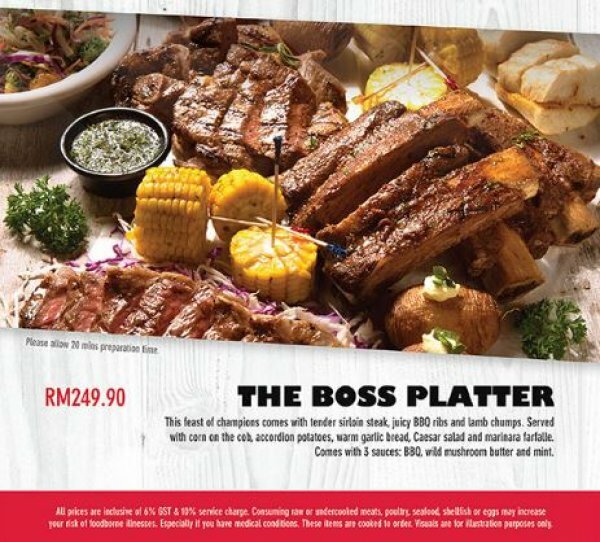 New Year Promotion offered the Auspicious Appetizer Platter for only RM 35.75 nett.